Laura V. Hilton is my Friday Friend (and yes, I know it’s Saturday!) and an award-winning, sought-after author with almost twenty Amish, contemporary, and historical romances. When she’s not writing, she reviews books for her blogs, and writes devotionals for blog posts for Seriously Write and Putting on the New. Laura and her pastor-husband have five children and a hyper dog named Skye. They currently live in Arkansas. One son is in the U.S. Coast Guard. She is a pastor’s wife, and home schools her two youngest children. 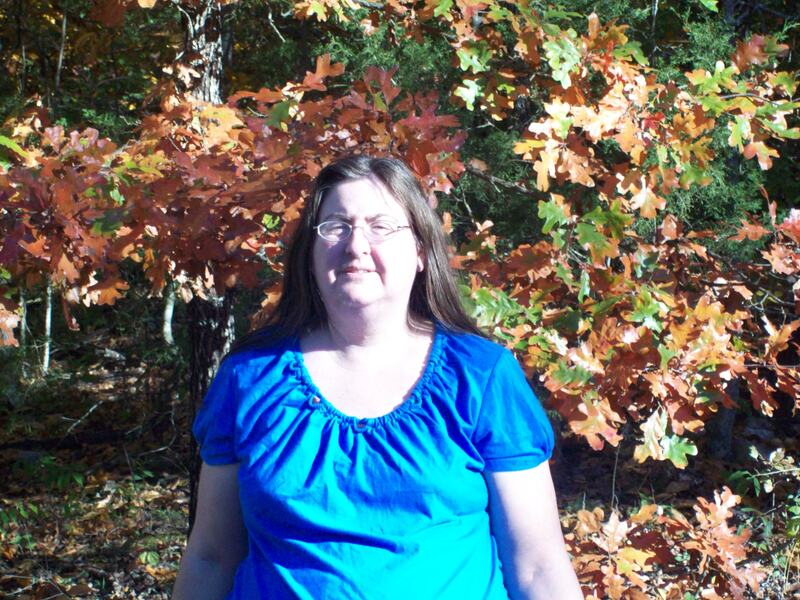 When she’s not writing, Laura enjoys reading, and visiting lighthouses and waterfalls. Her favorite season is winter, her favorite holiday is Christmas. I’m excited to have Laura as my Friday Friend. 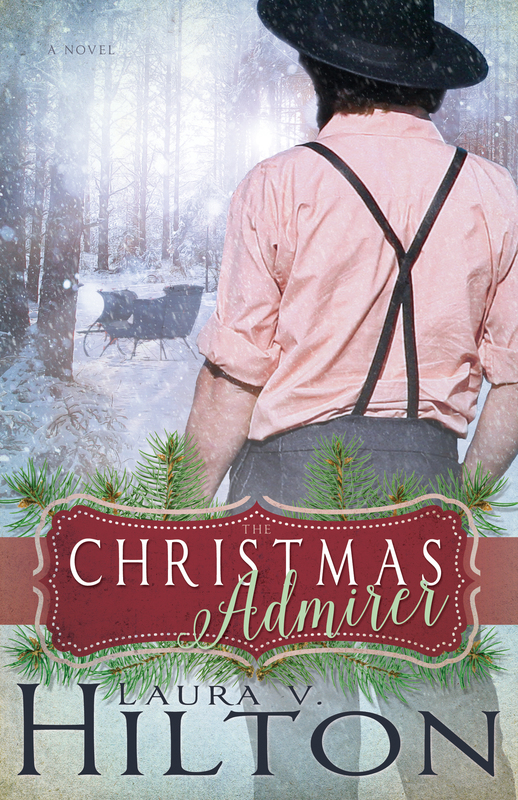 I usually do a post or blog about their new book, but today we’re doing an interview with Laura about her Christmas novella, The Christmas Admirer. What inspired you to write The Christmas Admirer? My publisher was interested in another Christmas story, this one set in Jamesport. I had two characters left unclaimed at the singing after a wedding in The Amish Wanderer. One of them had her story told in Love by the Numbers, coming in February. I wondered at the other girl’s story and started writing it. Did you go on a research trip for writing this story? If not then describe what you did to make it believable. I did go on research trips. I went to Jamesport initially when I researched for The Snow Globe and took pictures. And I went to a glassblowers shop in Springfield, Missouri to research that. Benaiah Troyer is an interesting name for your story’s hero. How did you create it? Benaiah is a biblical hero who became King David’s bodyguard. He has quite an interesting background and like King David has killed his own share of lions. Describe Benaiah. What’s he like? Share his personality, passion and flaws. Benaiah is the artistic type. Quiet, yet strong. He loves creating, he loves his family, but he doesn’t have enough faith that God will care for his needs—let alone everyone he’s responsible for. I know I can relate and I’m sure others can. Susanna King is the heroine of your story. What’s she like? Describe her personality, looks and heart. Susanna is driven. She wants what she wants and she will try to do it by hook or by crook. Which puts her and Benaiah and her father at odds because she’s butting heads with them. She has honey blond hair, greenish-grey eyes and is average height. Why does Benaiah love Susanna? Benaiah has loved Susanna since they were twelve and she helped him memorize lines for the Christmas play. They were best friends growing up which grew naturally into love. What is it about Benaiah that draws Susanna into a relationship with him? She admires how he always put her first, how he treated her and her grandmother, and like I said, their friendship grew naturally into love. Why does marrying Susanna feel like “an elusive dream” to Benaiah? His parents died, leaving him responsible for four younger sisters and his grandparents. He has a very limited income, little money for extras, and his home is a rundown rental. He doesn’t want to give up her life of ease and plenty to live in his reality of hardship. Not only that, but Susanna’s dad, a widower, is remarrying and moving him-and Susanna- to another state. How has the pain of Benaiah’s past shaped his present? It made him grow up and put the needs of his family before his own. Why is Susanna’s “greatest desire” to marry Benaiah? They’ve been together since they were twelve. They’ve courted since they were sixteen. They were promised to be married in the fall the year his parents died and changed it. Her love for him didn’t die. But she had to convince him she was willing to do whatever was necessary to win him. What are the unique roadblocks that Benaiah and Susanna face on their journey to happily ever after? Susanna’s dad is moving to Iowa , Benaiah is losing everything—including his job since he works for Susanna’s dad—and his home, and reality is scary. What is the significance of gingerbread houses in this story? I read a story once that included love potions and out of curiosity I looked up the ingredients. They are basically almost the same as for gingerbread. And since it is Christmas and a gingerbread house is a tradition in our family, that was a fun addition. It also worked into the faith message on Susanna’s part. What was your favorite part of writing The Christmas Admirer? Why? Benaiah and Susanna were such fun! Being madly in love but being forced apart yet together added tons of tension. What do you want your readers to remember most about this story? The faith message is up to God, but what I came away with is God is bigger than the strongest lions you may face. If you could spend Christmas Day with Benaiah and Susanna, what do you think that experience would include? Tons of yummy food, laughter and family. What is your favorite Christmas holiday treat (food or beverage)? Why? My maternal grandma came from the Amish and she had these wonderful old fashioned sour cream cookies. I love them. We make some every year. Do you have any closing comments? Thank you for joining us, I hope you have the Merriest of Christmases with you and yours. Thanks for the interview, Laura and Merry Christmas a few months early! Those cookies sound wonderful! Do you think you could share the recipe with my readers in the comment section? Great to read Laura’s interview and see her cookie recipe! 1. Sift flour with baking powder, baking soda, and salt; set aside. 3. At low speed, beat in sour cream and vanilla until smooth. 4. Gradually beat in flour mixture until well combined. Refrigerate 1 hour. 5. Meanwhile, preheat oven to 375 degrees F.
6. Roll out to about ¼ inch, use cookie cutters and place on cookie sheets. 7. Bake about 10 to 12 minutes, or until golden-brown. Remove to wire rack; cool.